Except for us, of course. When you book with Rhino Moving, LLC to Moving from San Diego to Sacramento you are making seemingly tedious feet into a seamless project with little to no stress at all. From start to finish our teams work tirelessly to ensure an easy going experience you are sure to remember. We know that moving long distance comes with lots of planning ahead and we specialize in just that. Each and every project we take on gets it’s own custom experience. We are constantly looking for any specials, shortcuts, discounts or anything that will increase efficiency and savings for you. The first step is for us to come out for a FREE on-site inspection. This is so that we can physically see the project for ourselves and get a good grasp on what the project really needs. We can immediately start putting together a plan that fits your project and your needs to get you on your way. The walk through its self only takes about 20 to 30 minutes to complete and we will get you a written quote completed the SAME day. We do this so that you have more than enough time to compare quotes and get your decision made. Once you have accepted our bid we will reserve the date and team, then we would collect a deposit that would be determined based on the project size and cost. The deposit is also credited toward the cost of the move, so you get it back in the end. We just do that to make sure once the reservation is made there aren’t any last minute changes that can jeopardize our already tight schedule. We provide each and every one of our customers their own personalized experience, by doing this we avoid a lot of issues that come with hiring a big corporate van line. Of course, they can provide a lower price because of the process they put your through first. With us, we cut right through all that nonsense. We do direct delivery, so instead of waiting up to and over 21 days for your stuff to arrive we start the delivery as soon as the truck is loaded. The same team that loaded the truck is also the team that will go with the truck all the way to its destination. So once they are done loading they lock the truck, hit the road and don’t open it up again until their arrival. Meaning we do not take your stuff to a warehouse and unload until we have X amount of customers going in the same direction. There isn’t 10+ employees handling your goods at different locations while also handling however many other customers belongings they have crammed in the huge semi truck trailer. We avoid all of that so that we can provide the best long distance experience moving has to offer. Once the team has arrived at your new home in Sacramento it’s all downhill from there. They will do a quick walk through to stretch their legs and get a “lay of the land” and also collect payment. Once they have a good idea of where everything is going, they will begin the unloading process. This is a full-service move, meaning they aren’t just there to drop off your stuff they are ready to put it exactly where you want it in your new home. 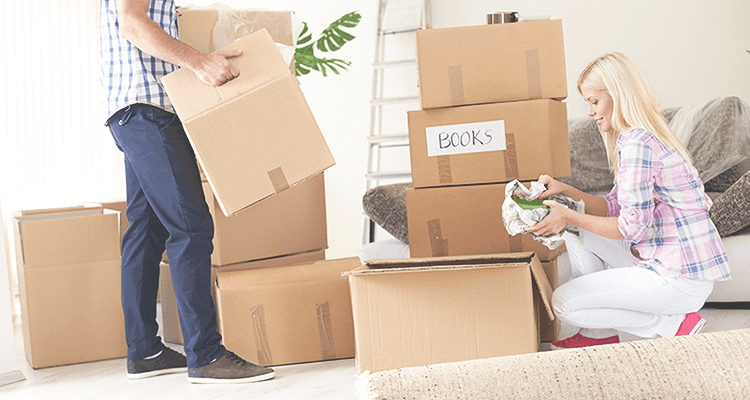 They will even help organize all the boxes in their respective areas so that you can still access all of them and unpack at your leisure without feeling overwhelmed with clutter. After completing the unload the team will walk through the house and collect all remaining materials and left over protective plastic wrap while also making sure all of your furniture is where you want it. Now you have successfully completed your relocation to Sacramento with the Long Distance Pros. Now the nesting begins! We can store your items in the truck over night at our facility for 1 to 5 days depending on the project at an additional cost. Or if you need more time before delivery we can also provide you a storage unit at a gated facility to be kept until you are ready for it to arrive. You can also leave a key with us so that once you are ready you just give us a call to confirm delivery and you are all set. You don’t even have to be there in person, just sit back and relax while we make it all happen. Once the team arrives at your new home they will preform a quick walk through to get a good idea of where everything is going and understand the “lay of the land”. They will also set up our door protecters and floor runners to protect the high traffic areas and cover any rails or stair ways. After the quick prep is completed they will collect the payment and it’s all down hill from there, this is when the magic begins. The team will start to unload your belongings into their respective areas and reassemble anything that requires it. They will even organize the boxes where they belong so that you still have room to get around your home without feeling overwhelmed by everything or having to take each box to the room they came from. Now that they have gotten everything off the truck, the team will start cleaning up all the protective materials and putting the truck back in order. They will also complete another walk through to make sure everything is as it should be, in case you need that heavy dresser pushed a little to the left or maybe something looks better in a different room. Whatever the case may be, the team will make sure you are absolutely satisfied before making the journey back home. You have now completed a seamless and stress free long distance relocation with the real pros of personalized long distance moving Rhino Moving, LLC. Congratulations on your new home and making the best decision possible for your moving needs! Now the nesting begins. As you can see a long distance move doesn’t need to be a lengthy, over zealous, head wrenching experience and you are just a phone call away from the best decision you could make for you and your belongings. Make online reservations. Book your next appointment online for our moving services. We offer free quotes and are always willing to discuss clients individual requirements no matter how unique.